*Sigh* I don’t like to play favorites. Sleeping Dogs went through somewhat of an odd development process, gaining and losing life under different names and companies. Despite a rough creation, the game hit the shelves and blew away my expectations. I loved everything about the way Hong Kong was approached, making a living breathing city fun to just ride around in and cause a little chaos. A good tale was told about Wei Shen, and even though the narrative felt a little messy towards the end, I left the main story happy overall. Hand to hand combat never felt as fun in any other game than it does in Sleeping Dogs. Excellent animations and fun environmental interactivity breathe a new life into the counter heavy combat that seems to be prevalent recently. Above all else, the reason this game earns a spot on my top games of this year: you level up your face. Or don’t. I’m a sign, not a cop. In very few games can I say that I had fun while only using half of the powers provided to me. In very few games can I be a passive assassin that sends rich people to work in their own coal mines, brand a man as someone his order is against, help kidnap a woman, and still be considered a person taking a low chaos path. Dishonored is a game proving how unique and interesting new IPs can come in late into the console cycles and still knock everything out of the park. Problems with Corvo’s character and the story aside, Dishonored is easily the best stealth game I’ve played in years and it’s gameplay alone more than earned itself a spot on my list. I punched God in the face so hard I sparked the Big Bang. 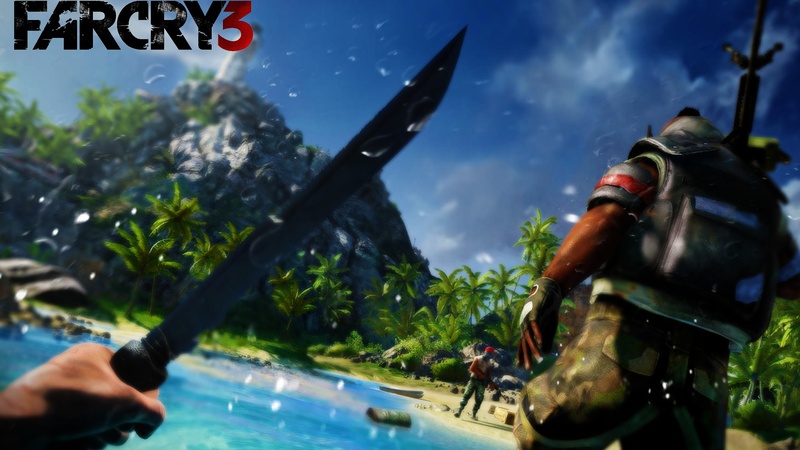 Much like Dishonored, there are many things that I have never done in such a way that makes me enjoy a game as I did with Far Cry 3. The huge open world that becomes your playground as a trust fund kid is filled with life and many things to do. The randomness of the world provides some great unscripted moments. Having a tiger sneak up behind you as you are hunting some pigs is equal parts terrifying, exhilarating, and hilarious. The main story leaves much to be desired, but when the game outside of the main story is so good there is no question as to why Far Cry 3 is on this list. Fez presented itself as a cute 2D platformer with a intriguing gameplay mechanic of rotating the world. Hours later, nothing was as it seemed. I was slipping into madness. I was decoding alphabets, numerical systems, and I will never look at Tetris blocks again. Phil Fish grabbed my sanity by the hair and pulled me down a rabbit hole. I had to pull myself away from the game after looking at how deep into insanity it pushed Evan and Clint. There is much to be said about a game like Fez, and even now as I continue to think about it, its charming madness tugs at me to come back. I went into Journey late in the game. I was actually afraid that I wouldn’t be able to experience the multiplayer aspect because people might have been finished with it. When I came across my first co-op partner and made a silent bond with him. We played through the entire game together, losing each other sometimes, but then finding each other again with our constant communication. It wasn’t until the end of the game that I realized I had gone on my Journey with eight different people, and that blew my mind. The sheer amount of emotion I had invested in my co-op partners struck a chord with me as someone who enjoys a game more like Saints Row the Third for co-op. 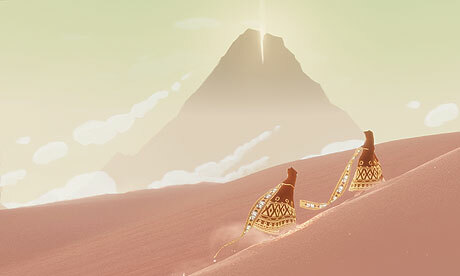 Journey was my favorite co-operative experience of the year, one of the best looking games I played this year, and one of the downright best games I played this year. I’ll be the first to admit, I liked Halo 4 much more than most people. In Halo 4 I felt like 343 hit a point that it needed to. It helped fans of the Halo series put trust into 343, showing that the series that many people love is in good hands. The tweaks to gameplay renewed and refreshed a formula that started to feel stale. 343’s openness to outside influence in the multiplayer shines, and adds to a great multiplayer experience. Along with the changes to the multiplayer, the story of Halo 4 provided me with something I never came across in a Halo game before, emotion. While the villain wasn’t the best, the bond Chief and Cortana have, even as Cortana grows ever crazier, takes center stage and actually makes it a story worth your time. The Halo series is coming back, and if Halo 4 is any indication of the way this series is headed, Halo 5 has a good chance of being on another one of these lists. In Mass Effect 3, Commander Shepard shoots Mordin which in turn makes him kill Wrex, taking away a huge alliance with the Krogans while solidifying his allegiance with the Salarians. At the of the game Shepard destroys the Reapers, ending the threat for the foreseeable future. That was the story, set in stone, for someone else. I never saw any of that happen. I had a touching farewell with Mordin. I joined my brother in arms, Wrex, in the battle for earth. I synthesized myself, ending the Reaper cycle and spreading a peace across the galaxy without destroying and races. The fact that so many different points can happen just because of decisions I made in two other games blows my mind and solidifies Mass Effect 3 as one of my favorite games of the year. Max Payne is the man that you watch do something awesome and yet you think “I never want to be in his shoes.” He is a broken man living day to day just to see the bottom of the next bottle. Drowning in troubles like dead family and lovers is hard enough itself, but when life is consistently giving you lemons and then squeezing them over open wounds, rock bottom quickly approaches. Rock bottom for Max Payne is where he shines. The narrative is crafted in such a way that there is a feeling of familiarity as to what is going on, but the characters surrounding him and the situations and locations he is faced with make Max Payne stand out amongst the crowd of video game protagonists. Smooth and satisfying animations and gameplay cap off what is my favorite game of the year. I would easily recommend Max Payne 3 to anyone interested in an interesting narrative, a stylized look, or a fun game to play. This year I played many good games, but Max Payne 3 takes the cake; the depressing, desperate, rock bottom, shaved head, nothing left to lose cake.